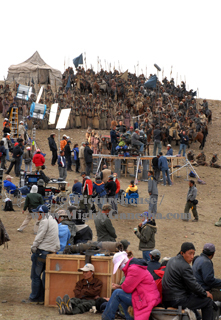 Any time a filmmaker takes on the subject of Genghis Khan, reviled and revered conqueror of most of the known world, his or her expectation should not be those of a low-budget, indie filmmaker. Epic would be the operative word for such an enterprise, but what if you’re challenged not only with rendering a controversial portrait of the early life of the Mongolian emperor, but doing so with only limited funds? Ask director Sergei Bodrov, he knows all about it. Bodrov co-wrote Mongol because he didn’t subscribe to the one-dimensional stereotype of the “Mad Mongol.” The heartless, brutal ravager of civilizations, bloodthirsty slayer of the guilty and innocent alike is a fairly universal perception for those outside of Asia (- and many inside it). Bodrov tells us the story of Temudgin, a young prince of the Mongol race and son of the reigning Khan, who, at the ripe old age of nine is off with his father to arrange a fortuitous marriage to the daughter of another clan. While resting with another less-valuable tribe, the haughty young boy chooses the wise, precocious Borte, evincing canniness and will beyond his tender years, sneaking the choice past his own father who grudgingly approves and even admires. The present Khan, a man of honour doesn’t live to see his son’s wedding day: He is murdered on the ride back home, poisoned at an oasis by devious enemies. The warriors who supported his father use the elder Khan’s death as a power grab, sending the small boy into the Mongolian wilds to fend for himself until he can grow up and the usurping traitors can rightfully murder him. By wit, the allegiance of good allies and a healthy dose of prayer to the Mongol god, Tengri, Temudgin does indeed survive to adulthood. He claims his faithful bride and sets about reclaiming his legacy as ruler of his people, but not without a few mishaps on the way. The good allies made during his hunted childhood betray and enslave Temudgin out of jealousy over his already revered leadership. Borte sacrifices herself on the day of their wedding to save Temudgin from a marauding clan who kidnap and impregnate her. Temudgin is reduced to being a political sideshow freak locked in a cage for ten years by the Tangut kingdom. All these tragedies and adventures are fuel the fires that will forge the man who vanquished most of Asia and substantial parts of Eastern Europe and the Middle East. There’s a lot of stuff to buy here and I reckon that a lot of one’s appreciation will depend on whether the viewer can accept the idea of the notorious warlord as a loving family man. 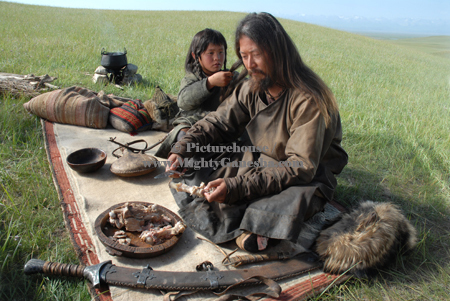 Bodrov’s script does not portent very much of his later intentions (- Mongol is intended as the first of three films) and for the most part, Temudgin’s motivations are simple, keeping his family safe and his responsibility to the Mongol people as a born-yet-dethroned prince. 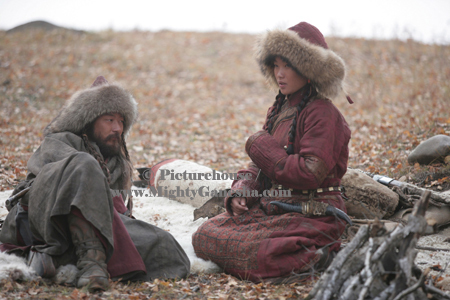 Looking at Mongol not as the story of a genocidal tyrant-in-training, but as that of a man who lost everything and suffered over many years to reclaim his losses, makes the film much more tenable. Bodrov wisely focuses on the bonds Temudgin forms throughout his life, particularly with his strong, wise wife, Borte, who would remain his most trusted advisor and with his adopted brother, Jamukha, who aided the baby Khan in his exile. It’s Jamukha’s betrayal of Temudgin that really forges the iron in the fallen prince’s soul. Even then, Temudgin’s harsh experiences have led him to an enlightenment that is almost Zen and his final acceptance of rule is shown as his means to an end for the well-being of his Mongol people. 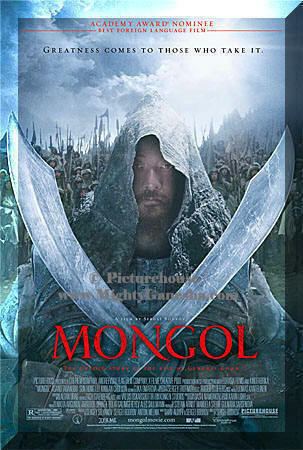 Had it not been for the wonderful performances of its cast, Mongol might not have been nearly as compelling. Bodrov’s casting of the brilliant Japanese actor (- and MG favourite) Tadanobu Asano as the man who would be Khan could not have been more fortuitous. 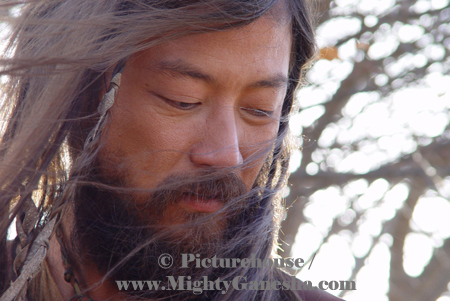 The actor’s simmering, powerful presence is the one thing that makes us buy this kinder, gentler Genghis Khan (- though he isn’t called that once in the film). Asano’s rare knack for being able to visualise internal turmoil and thoughts bubbling close to boiling over in Temudgin’s soul is a film in itself. Asano gives his Temudgin a Buddha-like restraint, which is essential at those moments where the viewer is wondering how this embattled young man can keep his cool despite all the horrors he endures. The flip side of the Zen coin comes in Chinese actor Honglei Sun’s exuberant performance as Temudgin’s traitorous blood brother, Jamukha. Cunning and powerful enough to usurp the title of Khan; Jamukah’s ambition will not be waylaid even for someone he values as much as Temudgin. Sun’s Jamukha is wily and world-weary and his deadpan gallows humour enliven the film’s darker moments. 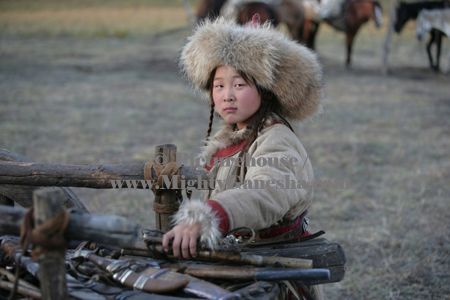 Borte, played by Mongolian newcomer Khulan Chuluun is a great character. 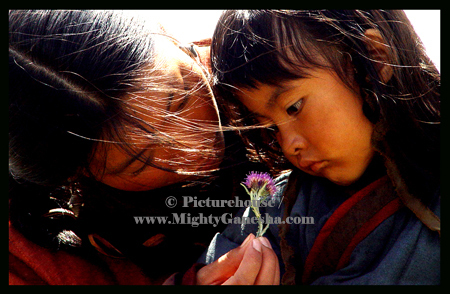 As a child, ten-year-old Borte is independent and wise, but she has found her mate and lets Temudgin know it. This decision is far from the last she will make with, and occasionally, for her husband. Her ability to see through the treachery that surrounds them and find solutions even at the cost of her own body make Borte a truly original character in the midst of all this Asian tribal masculinity. The scope of the production is breathtaking and truly epic. The beautiful cinematography of the Mongolian landscapes; parched, arid deserts, frozen tundras, snows deep enough to lose an army in and the beautiful greens of spring in the mountains and hillsides are all as much a feature of Mongol as the acting. The costumes, interiors and music are all wonderfully researched and show us a time and place in Asian history we could never have fully gleaned in schoolbooks. Much luv to the raw, brutal fighting on display during the film’s many battle sequences. 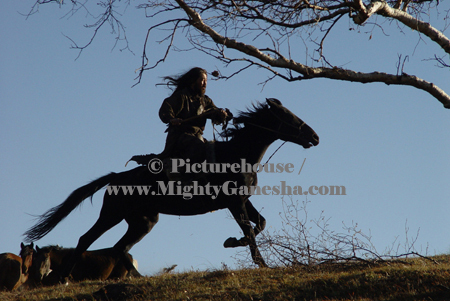 The Mongols were exceptional horseman as well as fighters; some of the movie’s biggest thrills come from watching the warriors charge toward each other in full flight on horseback whilst hacking at their enemies in a muscular, two-handed swordfighting style I’ve not seen in another picture. It’s a great detour away from the more lyrical, fantastic wire-fu that one would expect to see in an Asian war film. 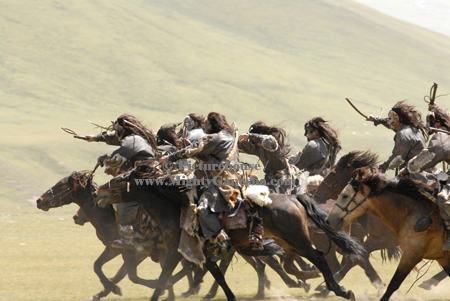 The blend of brutal action, compelling performances and a respectful nod to the mysticism of the Ancients give Mongol a very unique flavour. There is a certain audacity in taking the life of this larger-than-life character reviled by so much of the world, and making him almost warm and fuzzy and - dare I say? - human. It’s the beauty of Sergei Bodrov’s superior production and script that makes the provocation worth the leap and bloody good entertainment, besides.